Executive Fighter believe in the educational role of sparring and in all our sparring matches, precautions of some sort are taken to protect the participants. The physical nature of sparring varies with the nature of the skills it is intended to develop.The organization of sparring matches also varies.These may include wearing protective gear, declaring certain techniques and targets off-limits, playing slowly or at a fixed speed, forbidding certain kinds of trickery, or one of many other possibilities. The level of contact can also vary, lighter contact may lead to less injuries but hard contact may better prepare individuals for competition or self-defence. 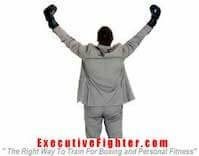 “ Executive Fighter” values sparring because it forces the student to improvise, to think under pressure, and to keep their emotions under control. 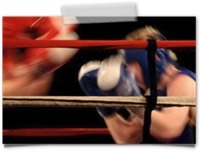 We offer customised boxing sparring (gold coast services) & pricing to meet specific needs. (below are just a few of the most popular boxing options).You also get EXCLUSIVE PRIVATE use of facility and boxing sparring partners robina ! Our fully comprehensive sparring development Program is structured into 6 categories based on level of skills & experience. The majority of the sparring options below are included for participants of all our boxing programs &/or regularly attend the recommended sessions a week. The sparring options below are also for anyone who wants to supplement & enhance their existing training &/or wish to spend more time to update,practice or fine tune their skills. These classes will help you get to the next level. All types of sparring options are available depending on your weight & experience. They will be closely supervised & is by prior arrangement only. Protective gear is mandatory . Certain sparring conditions will apply. Equipment Hire :Per Item - $5…but is usually free of charge! . . . Everyone is encouraged to purchase their own personal sparring gear,but in some circumstances certain types of gear can be hired. To find out more, you need to book an introductory private training session (current special offer price is $45 per person). This initial training session also includes a FREE consultation where we can then give you accurate prices and discuss your objectives/goals. This is also a good time to see the training facility and meet your personal trainer or coach in person.This will also help you make a better and more accurate decision to see if our services are for you and suit your budget. Executive Fighter does NOT cater for "casual" visits or "general" group training. (That is what most other gyms are for.) 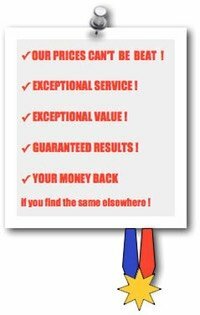 We are a private ,customer service focussed gym with no contracts or joining fees. Group boxing training is only available for our unique padwork courses and workshops. Full sparring equipment is mandatory!! !… If the participant does not have complete sparring gear for the type of sparring they will undergo, they will not be allowed to spar. We also offer self defence & mixed martial arts training including,mma,boxing,kickboxing,mauy thai,panantukan ,knife & stick defence & also a unique "street orientated" fighting & self defence systems. Sparring requires experience and/or with permission of coach. Conditions:Any trained boxers wanting to apply or enter a Competition must have completed a minimum of “Phase 3” of a boxing program and is by prior arrangement only.You must have prior approval to attend this class and must be willing to fight.Exclusive Private and Personal Coaching and Sparring - A one to one and two on one personal coaching and training service is included in all optional extra sparring sessions. For existing members at a discounted rate and for non members at a very competitive rate. The Friday night and weekend classes will be a more laid back, technique review classes with Paul’s supervision. Friday night class ends at 9:30pm but you are free to stay and train until 10pm. Practice what you learnt that week!! Our sparring sessions will help you get to the next level. All types of sparring options are available depending on your weight & experience.They will be closely supervised & is by prior arrangement only. Protective gear is mandatory & certain sparring conditions will apply.